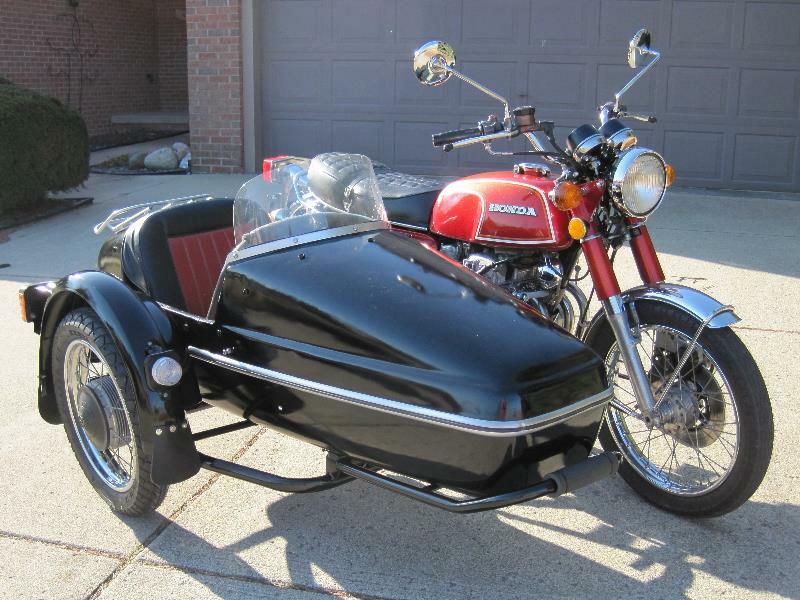 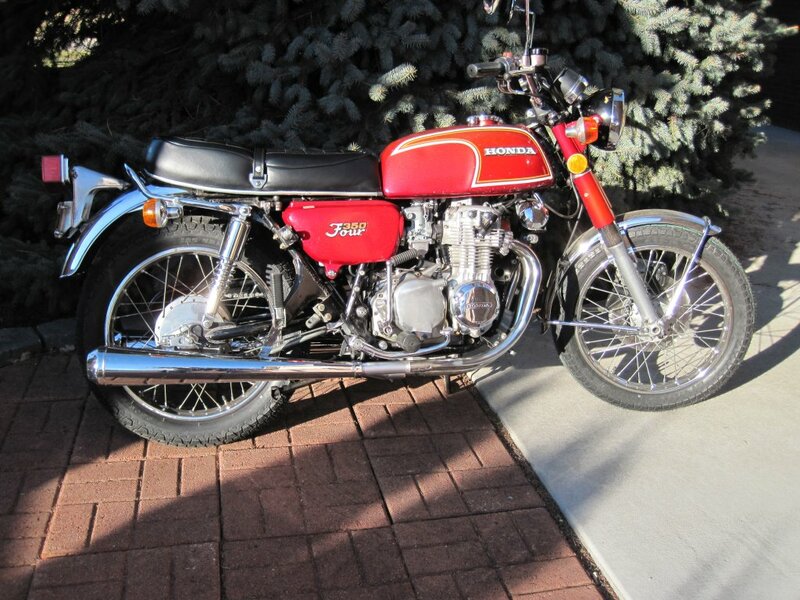 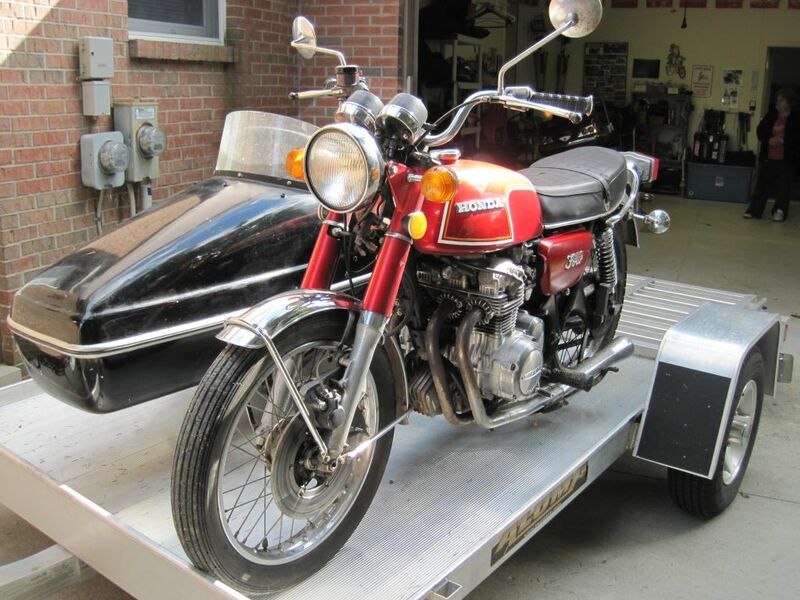 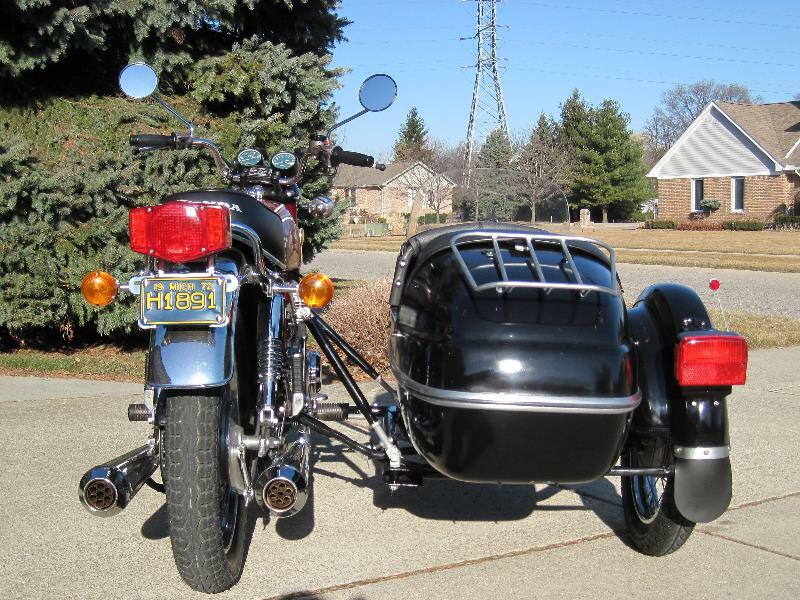 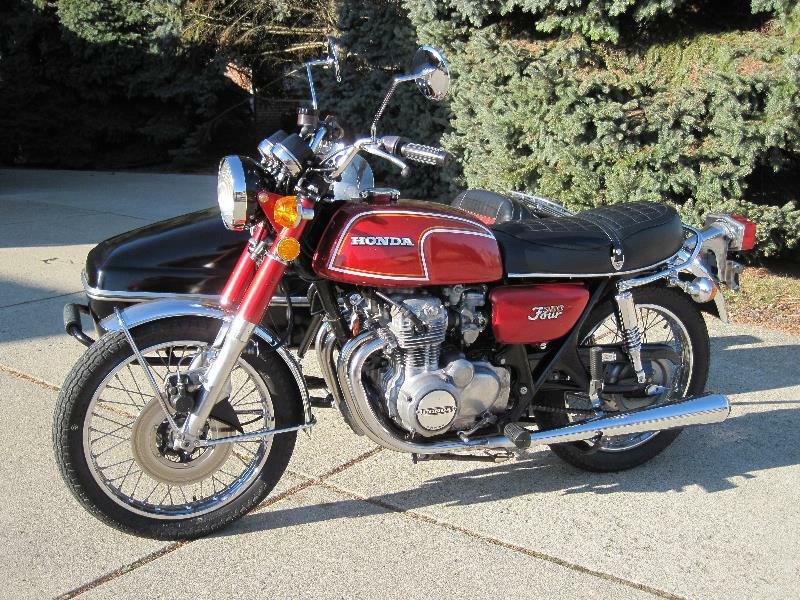 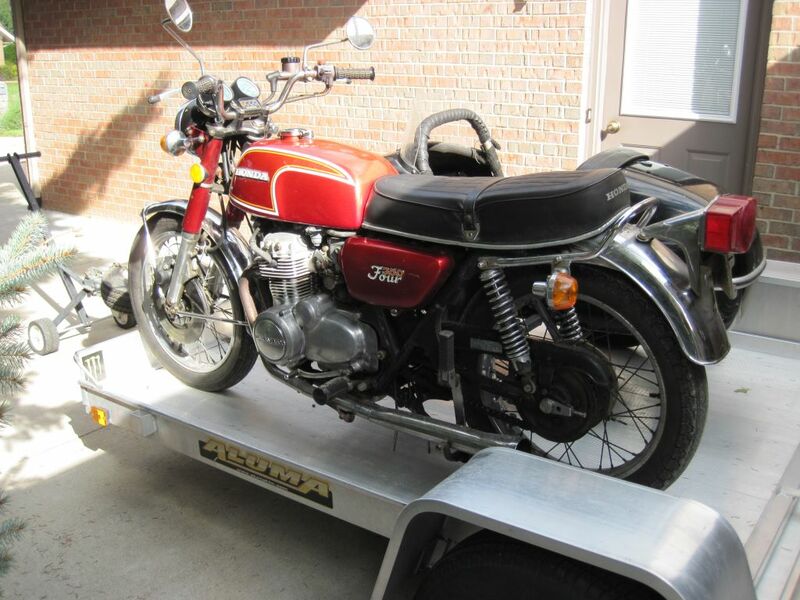 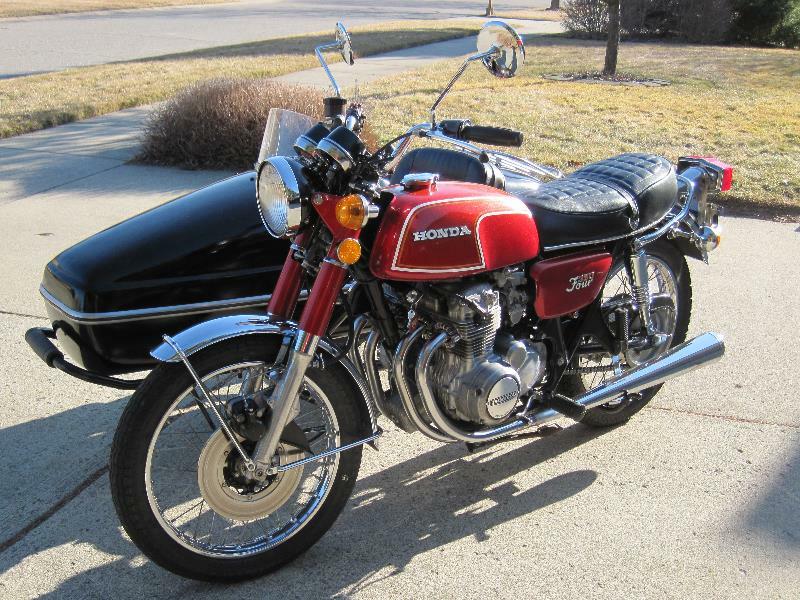 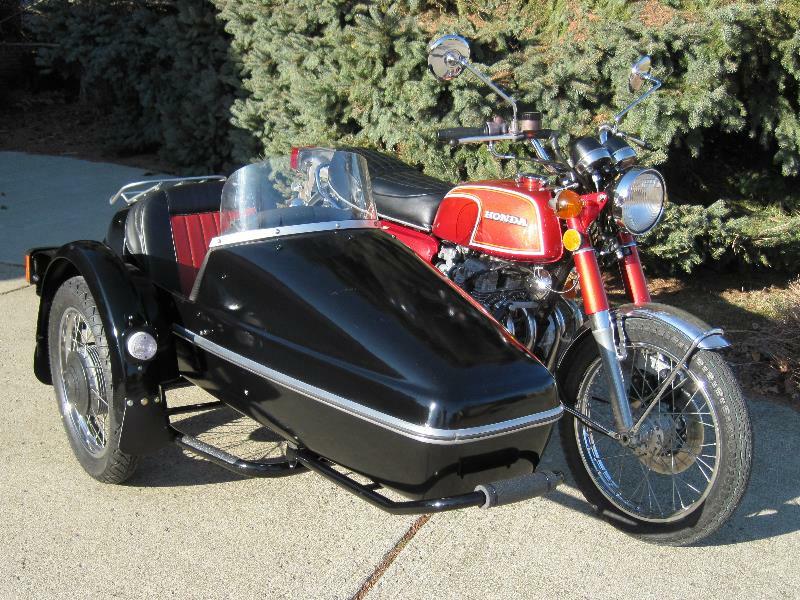 Here's a 1972 Honda CB350F with a Velorex 562 Sidecar. 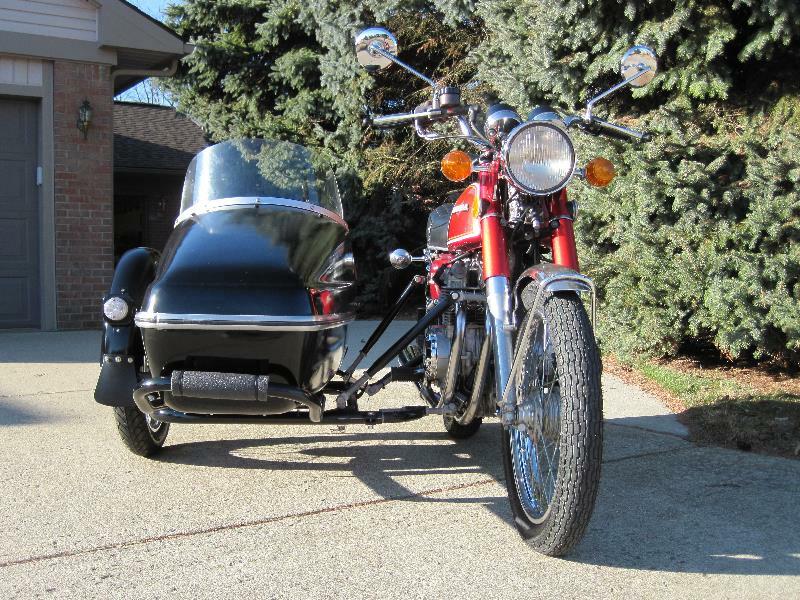 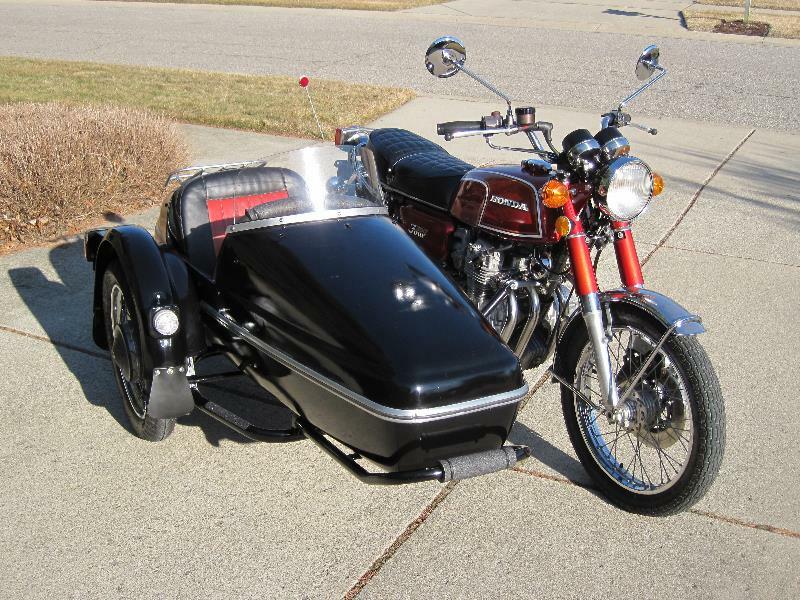 I bought the combo mostly for the sidecar, planning to attach it to my KLR650 once in a while, but now that I think about it more I think I'll semi-restore both the bike and car and keep 'em together for a while. 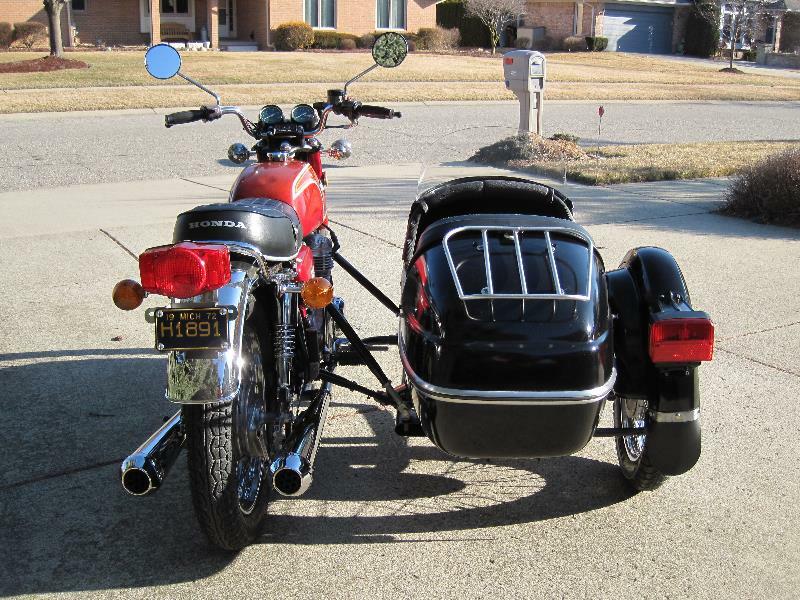 At least for one season until I learn more about sidecars. 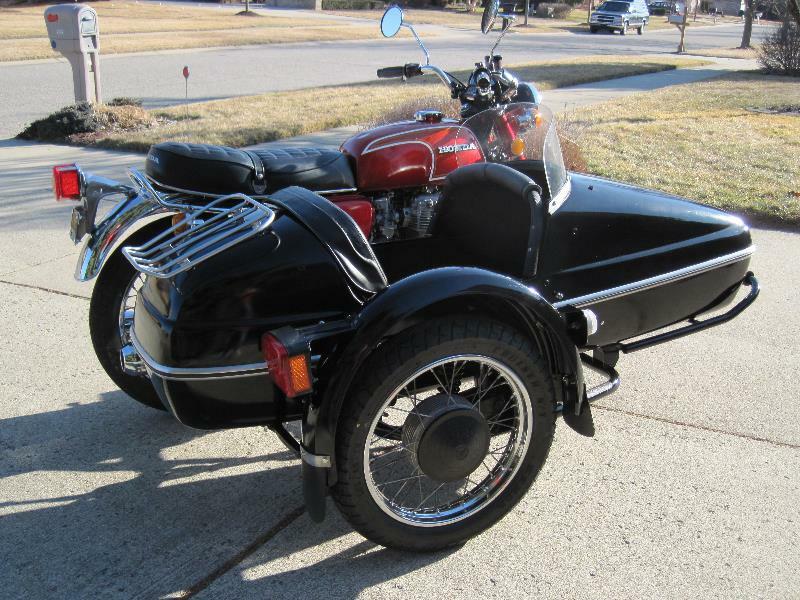 Once I use it for a season I can decide to separate the car and sell the bike separately, leave them together forevermore, or sell the whole thing because I don't really want a sidecar rig after all. 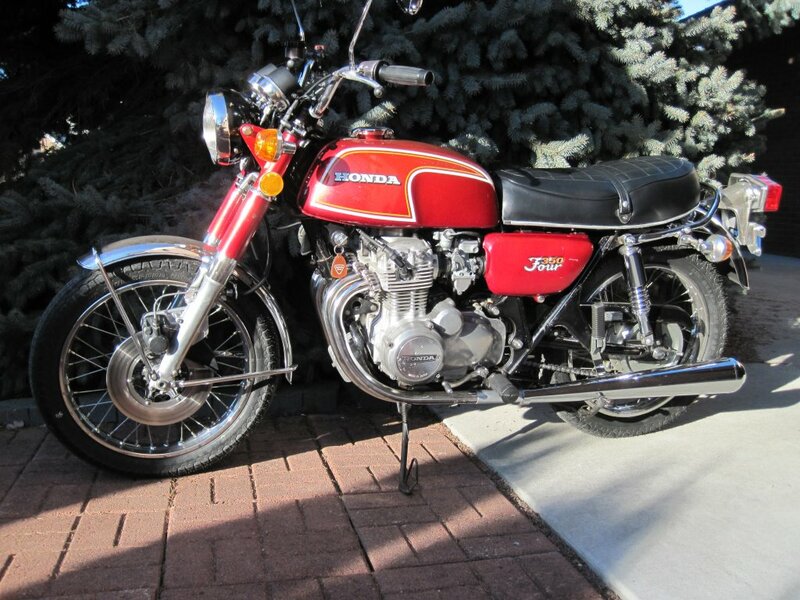 She's a nice survivor bike that looks to have most components still there and in pretty darn good condition for almost 40 years old! 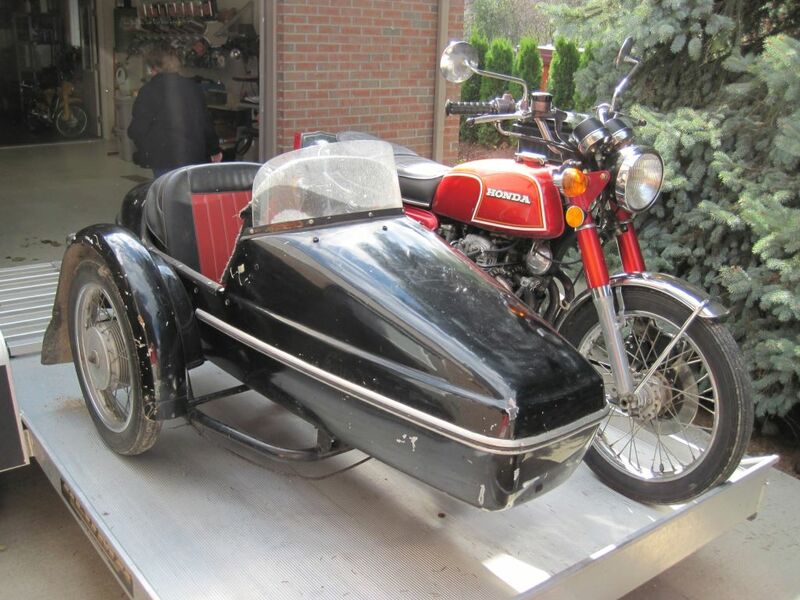 Should respond nicely to some TLC this winter (2011/2012).